In music circles, the reputation of the Birchmere is legendary. Many careers have been launched from this internationally recognized music hall. On any given night, a star may be born. Mary Chapin Carpenter, Lyle Lovett, Shawn Colvin, Jerry Jeff Walker, Dave Matthews, Vince Gill, John Prine, Emmylou Harris, Linda Ronstadt, and k.d. Lang are just a few of the artists counted as good friends of the Birchmere. The Birchmere is committed to the presentation of the highest quality music in a comfortable and intimate atmosphere in Old Town, Alexandria, Virginia. 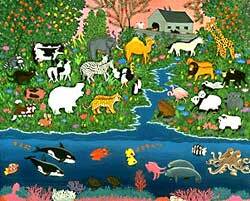 It’s a bit fantastical to imagine an ark full of animals – two of each to be exact! 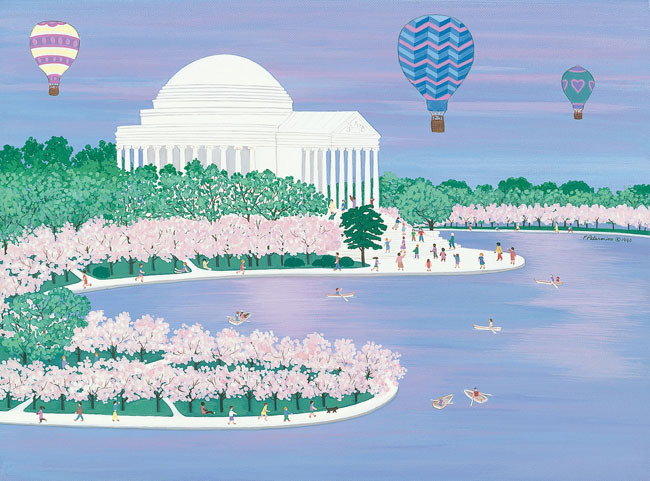 Of course no pictures of the actual event are available, but once again Pat Palermino dreams up what it could have looked like in her Two by Two original folk art painting. If we had been there our only request would be to not be seated next to the octopi! Every Saturday we will be at the Alexandria, Virginia Farmer’s Market in Old Town. Not only can you buy Pat Palermino artwork, notecards, books, etc. But, you can also meet Pat! Please visit our booth and say hello! Downtown Alexandria has been identified as the metropolitan area’s top ArtPlace. The designation, awarded by ArtPlace, recognizes neighborhoods where the arts are central to creating the kinds of places where people want to be. These communities have been exceptionally successful at combining art, artists and venues for creativity and expression with independent businesses, retail shops and restaurants, and a walkable lifestyle to make vibrant neighborhoods. 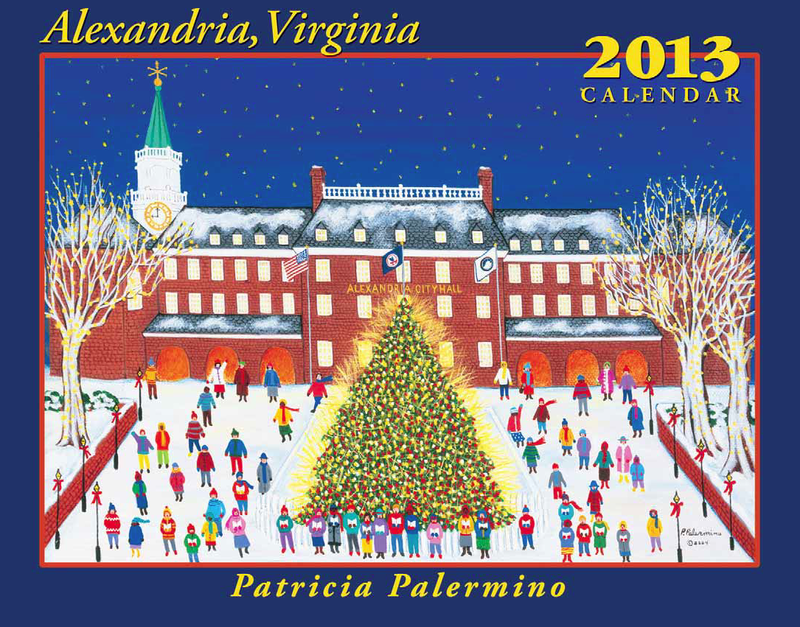 It’s 2013 and do you have your Patricia Palermino Calendar? $10 per calendar – buy one for everyone you know because it truly is the gift that keeps giving every month of the year!